LLake Oswego is one of the most affluent suburbs of Portland with many luxury home neighborhoods, and 694 Oswego Lake lakefront homes. The city of 36,725 resident is ideally located just eight miles south of downtown Portland and about 45 minutes north of the state capitol in Salem. 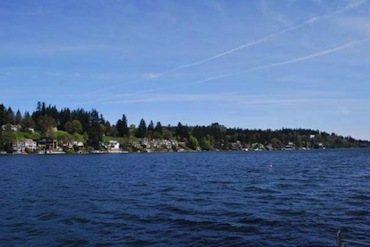 Lake Oswego is a community rich with art, culture, historical resources, quality schools, vibrant business districts, and an abundance of activities and events for all ages. Neighborhood associations play a formal role for citizen involvement in the city government’s land-use planning and other activities. A neighborhood association’s role is governed by state and city law. There are 22 recognized neighborhood associations: Birdshill, Blue Heron, Bryant, North Shore-Country Club, Evergreen, First Addition, Forest Highlands, Glenmorrie, Hallinan Heights, Holly Orchard, Lake Grove, Lakewood, McVey-South Shore, Mountain Park, Old Town, Palisades, Rosewood, Skylands, Uplands, Waluga, Westlake, and Westridge. The city maintains 573 acres of parks and open spaces. This includes 24 developed parks, one amphitheater, one swim park, one water sports center on the Willamette River, a senior adult community center, a public golf course, an indoor tennis center, seven outdoor tennis courts, and five picnic shelters. An additional swim park is open to those who live in the boundaries of the old Lake Grove School District. The private Oswego Lake Country Club and neighboring equestrian riding club add to the recreational amenities of the city. Oswego Lake is a private 405-acre lake managed by the Lake Oswego Corporation. It is an expansion of an earlier natural lake, named Waluga (wild swan) by Clackamas Indians. 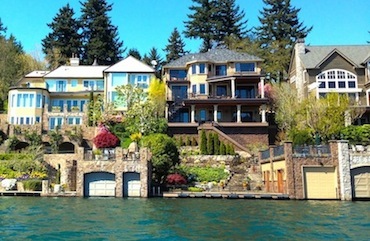 Houses with views of Oswego Lake and lake-shore property are very expensive. The lake is navigable, with a dock at the east end where boaters can disembark and walk to the nearby businesses. The main canal from the Tualatin River was dug in the early part of the century. The Willamette River runs through Lake Oswego and offers many recreational opportunities. The Charlie S. Brown Water Sports Center is located on the scenic Willamette River near Roehr Park (350 Oswego Pointe Drive, Lake Oswego, OR). Rowing is a popular activity for both youth and adults, with programs offered through the Parks & Recreation and Lake Oswego Community Rowing. The Lake Oswego School District has some of the highest graduation rates and school performance ratings in the region. It serves the city’s approximately 7,000 students, with a ratio of 23 students per instructor. The two high schools in the district are Lake Oswego High School and Lakeridge High School. 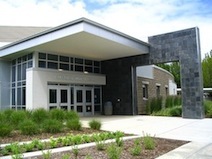 There are six elementary schools and two junior high schools for students in grade 6 through 8.